Why should you get the BugPatch® Protection? 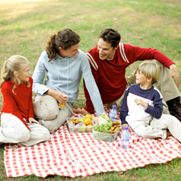 Are you and your family in an area where you know that mosquito-borne diseases are present? Where you live or travel are mosquitoes a risk to you? Do you expect to receive many bites based on insect population? Will time spent outdoors at nights last longer than an hour? Will you be around heavily vegetated humid areas during the day? Are you planning many outdoor activities, such as exercise, running, sports, fishing, etc...? Are the humidity and temperatures high? Are you planning to travel abroad to areas possibly infested by various insect populations? If you answered YES to two or more questions, You're at HIGH RISK and need the BUGPATCH® NOW! Amazingly, Mosquitoes, Horse Flies, Ticks & Chiggers are attracted to the carbon dioxide that leaves your body when you exhale or perspire. They can sense it from far away. There is nothing you can do about this, since we all need to breathe. The GOOD NEWS is that you can use THE BUGPATCH®, the topically applied insect repellent patch that's always ready to assist in protecting you and your family. Just one small BUGPATCH® when applied properly creates an invisible, virtually impenetrable shield against the ill-effects of mosquitoes and the diseases they may carry. Within two hours after application, these annoying creatures will discover that you are off limits and will quickly move on and leave you alone! The repellent effects last up to 48 hours, even during hot and humid weather!